An international collaboration led by researchers at the University of Leicester has developed a new genetic risk score that could help identify individuals at risk of coronary heart disease (CHD) much earlier, and potentially improve its prevention. 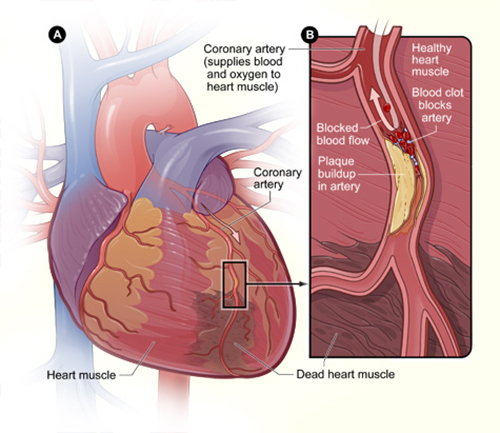 The new study—“Genomic prediction of coronary heart disease”—was published recently in the European Heart Journal and provides new knowledge that could pave the way for earlier and more personalized preventative interventions. Genetic factors have long been known to make a significant contribution to CHD risk and recent advances in genetics have led to the identification of many single nucleotide polymorphisms (SNPs) that vary from person to person and may be used as markers of disease. In this new study, the investigators looked at more than 49,000 SNPs, creating a grading system known as a genomic risk score (GRS) and showed that the higher the GRS, the higher the future risk of CHD. Currently, clinical risk scores are based on known risk factors for CHD such as cholesterol level, having high blood pressure or diabetes and smoking. But such scores are imprecise and unable to identify a large proportion of people who develop CHD. The researchers showed that the GRS was independent of the clinical risk scores and by combining the two risk score tools they were better able to predict people who were at risk of developing CHD in the next 10 years.